When it comes to being a custom knife owner, there are a few things you need to know. 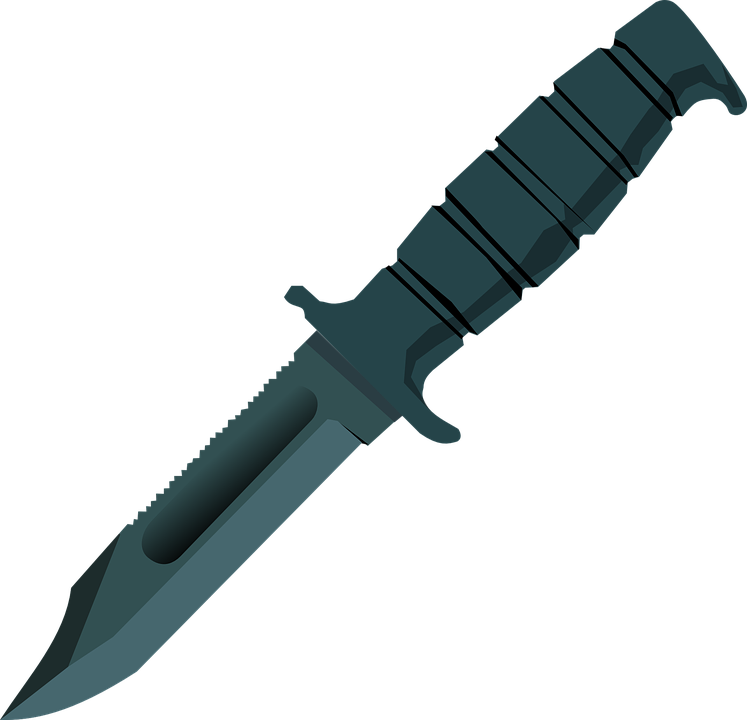 If you are the owner of a grail knife, folding knife, pocket knife, tactical knife or some other kind of hand forged, custom blade, you will want to follow precise instructions to make sure your knife stays in tip-top shape. If you are a new knife collector with a bounty from a knife, you will want to pay attention particularly- it’s important to start the dynamics of knife care and maintenance as soon as you begin ownership. So what are the most important parts of maintaining a custom knife? Well, here, Exquisite Knives lists the central facets. 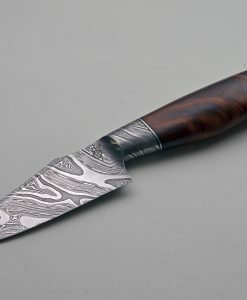 One thing you will want to do with a custom knife or hand forged knife is to hone it regularly. This entails using the textured steel rod that comes with a knife block. This important instrument will help you be able to maintain the sharp edges of your hand forged blades or custom blades. The technique to honing is not too hard to master. Simply hold the steel vertically, with the tip secure on a stable surface, and with your other hand, hold the knife horizontally at a 20-degree angle and draw the blade down and toward you, across the steel, back and forth. 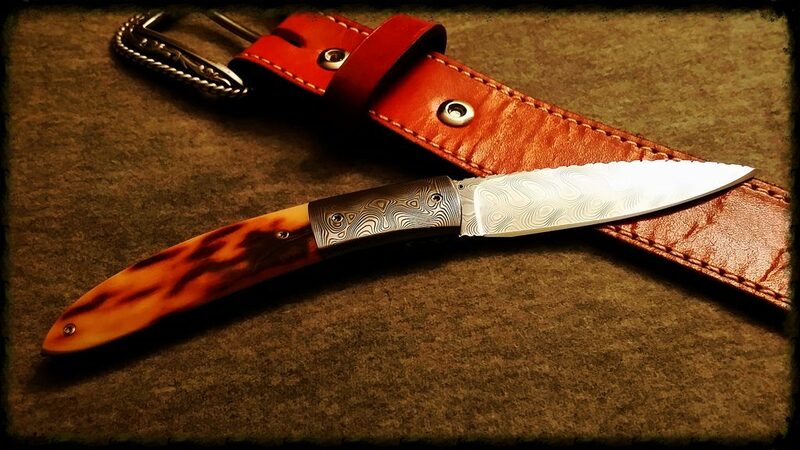 Another thing you will want to do when maintaining a tactical knife, pocket knife, grail knife or some other type of custom knife fit for a custom knife collector, is to sharpen the blade- at least yearly. This will help counterbalance any nicks or mars that your custom blade may have accrued. One easy way to tell if your custom knife needs to be sharpened is to see if the custom blade slides right off of the skin of an onion. Then, get to work with a handheld tool, or electric sharpener, however, be wary of electric sharpeners stripping away too much precious metal. Another thing you will want to do to ensure maintenance of your custom bowie knives, custom folding knives, custom hunting knives or Bob Loveless Knives is to make sure you are using them properly. An up and down motion will dull the edge of the custom blade, so it is better to rock or slide the knife to ensure the cut you desire. 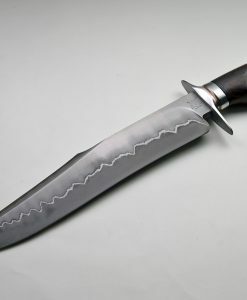 To minimize damage, inhibit the contact your custom knife has with materials such as acrylic glass or stone boards. However, the best way to ensure good performance out of your custom knife is to make sure you purchase a high-quality knife to begin with. 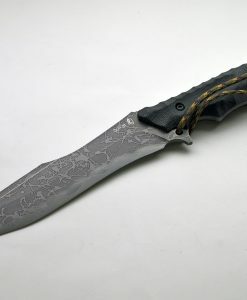 Exquisite Knives offers a wide selection of custom knives, hand forged knives and more. Any knife collector will be envious of our selection!